nCap technology is truly a quantum leap in wireless range and throughput. Using patent pending techniques and algorithms, nCap maximizes data throughput over wireless signals. When power amplification is applied, the results are even more impressive. With nCap, wireless signals achieve penetration, distance and throughput not previously possible. This means more coverage, fewer access points, high data rates and more reliable connections. nCap is truly changing the face of WiFi and other wireless solutions. No magic, just deep RF science from the team at nCap Wireless. More importantly, the design is well proven in a broad variety of applications from military and public safety to networking and control automation. Intelligent Power Management that goes far beyond Automatic Gain Control (AGC). Receive chain and filter designed for maximum performance in the toughest environments. Groundbreaking EVM (Error Vector Magnitude) performance for ultra high throughput and reduced packet loss. 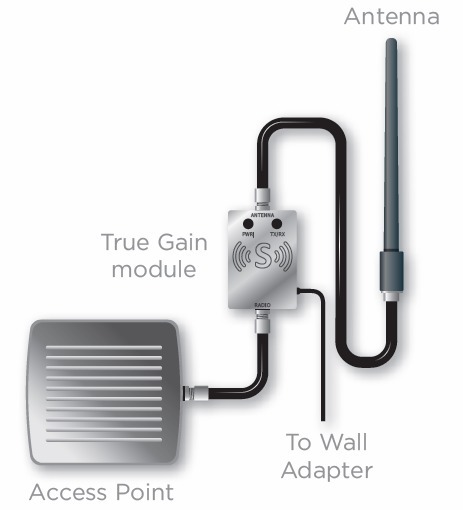 Easily installed to virtually any access point with indoor and outdoor versions. Primary component footprint the size of two postage stamps – easily embedded or integrated into existing designs. nCap is compatible with virtually any standard wireless system from access points and routers to cell phones, tablets, notebooks, even industrial handheld devices. Modules are available for WiFi (a/b/g/n), SCADA, RFID, WiMAX, and Public Safety in a range of frequencies including 900 MHz, 2.4 GHz and 4.9 – 6 GHz frequencies. For industrial or mission critical applications, a nCap module can be applied to both the access point and the client device for even greater performance. 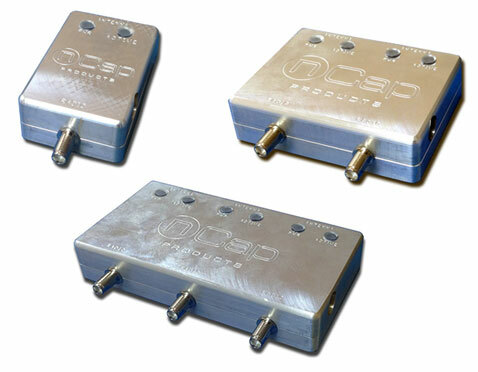 Custom designs and higher power units are available for commercial, military and unique applications..
nCap is fully optimized for peak gain and speed. It dynamically monitors the power output and applies patent pending algorithms to maximize the efficiency and performance of the broadcast device for the wireless clients in field. Intelligent power management alone can offer significant benefits in wireless performance. Often times, our partners turn down the transmit power of their device and allow the nCap module to optimize the speed and range of the overall solution. Often overlooked by other vendors, the receive chain and filtering within the nCap design is optimized for peak performance. Other vendors simply don’t place the an emphasis on a highly sensitive receive chain/LNA, reducing the overall performance of their design. nCap truly prides itself on equalizing the power and performance of the wireless link regardless of the scenario and use case. EVM is a performance measurement for wireless systems. It measures the percentage of modulation error in constellation placement. If the EVM percentage is higher, less data will be transmitted without error. For 802.11n, the IEEE spec dictates only 5.62% EVM. Most AP’s are not able to operate at peak performance for both speed and throughput. If the AP is set to maximum power, the highest data rates are often not achievable. nCap nCap achieves a 2% EVM, a 3x reduction in error, driving even more robust throughput and range. Is nCap technology an amplifier? Nope. Comparing nCap to an amplifier is like comparing apples to oranges. Many customers deploy nCap with no additional power output.When you add an amplifier to nCap technology, you get amazing results, but they are not the same technology. Amplification is the oldest trick in the book. Thanks to nCap technology, we don’t always need it. nCap impacts performance without any increase in power output, yielding amazing results in sensitive applications and environments. When we apply tried and true amplification techniques using the nCap Module, you obtain even better performance. *Wall adapter included. Coax includes POC adapter.